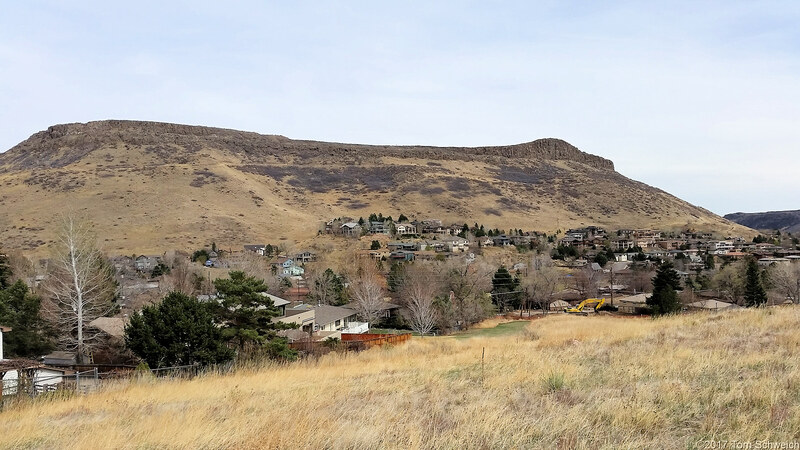 Photo: View west to North Table Mountain. Eastern Mojave Vegetation View west to North Table Mountain. North Ford Street is just behind the construction equipment. Checklist Flora of Native and Naturalized Vascular Plants of Golden and Vicinity, Jefferson County, Colorado: up. wash..
Social Trail (across Upper Washington Avenue Open Space), Golden, Jefferson County, Colorado: at top. Field Notes: 25 Mar 2017. Other photos about Geography - Golden, Colorado or Upper Washington Avenue Open Space.